Chandler, Arizona based INSYS Therapeutics was the state’s only biotech IPO in 2013. Starting off at $8 per share it was trading in the $40 range in December (a 400%+ gain) making it the nation’s top Biotech IPO performer of 2013. Don’t be surprised to see one if not more Arizona Medtech/Biotech Companies start publicly trading in 2014. The migration from discovery to development to delivery cannot happen without adequate infusions of capital into both our non-profit research institutions and our biotech corporations. Here in AZ we must commit to doing what it takes to create new streams of Arizona-based capital in 2014. This includes funding for research at universities and private institutions to keep our discovery pipeline strong and new bioscience scale, locally based capital resources for commercial investments to ensure that the development and delivery stages occur locally and not someplace else. Watch for new programs in 2014 to bring biotech investors together in Arizona to connect with our innovator companies and for a new initiative to build an indigenous biotech investment base. In 2013, the Arizona Board of Regents (ABOR) announced its plan for a $I billion bond initiative to support the maintenance of current university research facilities and the expansion needed to support an aggressive goal of almost doubling again the level of research conducted by our universities (1.1 Billion in 2012) to $2 billion annually by 2020. 2014 will see civic leaders, industry leaders and the universities joining forces in discussions with the Governor and the Legislature for support of investments of $333 million in research infrastructure between fiscal years 2016 and 2018. This commitment will help our universities take the steps necessary to spur business growth and stay on the cutting edge of innovation through up-to-date research facilities. In the first five years, ABOR estimates that the project will create up to 41,000 jobs and $3 billion in economic impact. Each year thereafter it will support up to 6,400 long-term, high-wage jobs and $470 million in economic impact. August of 2013 saw the largest acquisition of the year as Amgen acquired Onyx Pharmaceuticals for $9.7 billion. With the cost of R&D investments rising and new generic or biosimilar competition on the horizon for today’s blockbusters, look for more examples of industry consolidation as the big get bigger in 2014 by gobbling up promising additions to their product portfolios. According to analyst reports, Novartis alone is sitting on a war chest of about $6 billion for well-matched targets. 2013 was also the year that Pfizer split- off Zoetis and creating the world’s largest animal health company. The $2.2B IPO got lots of attention for the 60-year old division turned new-co. In 2014, don’t be surprised if this phenomenon continues as other pharma giants look to zero in on key product sectors and allow non-core divisions the freedom to go and grow independently. Big Data was big news in 2013, yet we have barely scratched the surface of what it can mean to our industry. As C-Path illustrates in this video on AZBio.TV, computer driven simulations will be key to less costly and more efficient clinical trial design and implementation. But it does not stop there. Check out the predictions on how big data analytics will change the practice of medicine from McKinsey director Nicolaus Henke. Arizona Alzheimer’s Consortium – A collaboration between Arizona State University, Banner Alzheimer’s Institute (BAI), Barrow Neurological Institute at St. Joseph’s Hospital and Medical Center, Mayo Clinic, Banner Sun Health Research Institute, Translational Genomics Research Institute (TGen), and the University of Arizona, the Arizona Alzheimer’s Consortium s the nation’s leading model of statewide collaboration in Alzheimer’s disease research. In 2013, BAI launched the international Alzheimer’s Prevention Initiative and began building the world’s largest data base of potential study participants. Clinical research will be even more active in 2014 across the consortium network as together they work to find answers for patients and their families. Arizona Cancer Center – The Arizona Cancer Center (ACC) is one of the leading cancer research and care centers in the United States and the only National Cancer Institute-designated Comprehensive Cancer Center in Arizona. The ACC is expanding and broke ground for its Phoenix facility in 2013. While the center will not open until 2015, watch for the 220,000-square-foot, five-story, $100 million facility to take shape in 2014. Under an affiliation agreement approved by the Arizona Board of Regents and Dignity Health Arizona, St. Joseph’s, which is a part of Dignity Health, the ACC will operate inpatient clinical cancer services at its main hospital campus and outpatient services at the new downtown facility. Until the new facility opens the hospital will continue to provide outpatient services. Banner MD Anderson – A collaboration between Banner Health and MD Anderson, the center opened in 2011. With its $62 Million Phase II expansion, Banner MD Anderson will double in size and patient care capacity in 2014. Barrow Neurological at St. Joseph’s Medical Center – Internationally recognized as a leader in neurological research and patient care, The Barrow treats patients with a wide range of neurological conditions, including brain and spinal tumors, cerebrovascular conditions, and neuromuscular disorders. Barrow’s clinicians and researchers are devoted to providing excellent patient care and finding better ways to treat neurological disorders. Today, over 50 sponsor organizations choose Barrow for their clinical trails and collaborate with this world class research team. BIO5 – With major initiatives underway in Drug Development, Imaging, Clinical & Translational Sciences, Bioinformatics, and STEM education (KEYS) BIO5 combines teams from across the University of Arizona and industry to find answers to some of our most challenging healthcare questions and translate them to marketplace solutions. Biodesign Institute at Arizona State University – Biodesign researchers are pioneers of a dynamic new academic research model and hub of 21st century innovation, with the Biodesign Institute’s convergent technologies and fields of research focusing on biomedicine and health outcomes, sustainability and security. To get a feel for Biodesign’s future plans, check out this video from Biodesign Executive Director Dr. Raymond N. DuBois. C-Path – In June of 2013, the FDA and the European Medicines Agency endorsed the first simulator, from Critical Path Institute, for use to develop treatments for Alzheimer’s disease. Watch for additional simulators for tuberculosis, Huntington’s disease and Parkinson’s disease coming soon. By using simulations, drug developers are able to design trials and test them digitally to identify flaws and hopefully correct them prior to going into highly expensive human trials. Grand Canyon University – GCU continued to expand in 2013 with the announcement of a new Center for Integrated Science, Engineering and Technology. Under the leadership of Executive Director Michael Mobley, PhD, the Center will drive the expansion of the university’s computer science, applied math and science curriculum, and lay the foundation for a new college. IGC & Paradigm – In 2012, The University of Michigan and the Phoenix-based International Genomics Consortium teamed up to form a nonprofit in Ann Arbor called Paradigm to help patients receive tailored treatments based on their genetic makeup. Now operating out of Ann Arbor Michigan and the IGC facilities on the Phoenix Biomedical Campus. Paradigm’s new cancer diagnostic test, PCDx, is the most sophisticated and comprehensive Next-Generation Sequencing cancer diagnostic test available for cancer. The test uses proprietary algorithms and processes to obtain high-quality DNA and mRNA from FFPE specimens. The PCDx test identifies all classes of genomic alterations in hundreds of cancer-related genes. Results can be used for better clinical trial design and by treating physicians to gain insights into what may benefit the patient most. The PCDx test provides a 4 to 5 day turnaround on reports for immediate translational patient care, allowing oncologists and patients to receive critical genomic, treatment and clinical trial information when they need it. Mayo Clinic – One of the anchor institutions in the Scottsdale Cure Corridor, Mayo Clinic facilities in Scottsdale and North Phoenix. Combining nationally recognized levels of quality care with clinical research, Mayo-Arizona is actively engaged with the state’s universities in developing new healthcare innovations. In 2013, Michele Y. Halyard, M.D, a radiation oncologist at Mayo Clinic in Arizona, was named vice dean,Mayo Medical School – Arizona Campus. The development of the new medical school, a partnership with Arizona State University, will continue to develop in 2014 with a plan of enrolling its first class in 2015. TD2 – In December 2013, TGen announced that ORIX USA, a Dallas-based diversified financial conglomerate with nearly $ 5 billion in assets and $30 billion of assets under management, will provide the capital needed to enable TD2 to expand its capabilities to assist pharmaceutical companies in the development of new drugs based on the specific molecular profile of individual cancer patients. Dr. Jeffery Trent, TGen President and Research Director; Dr. Daniel Von Hoff, TGen Physician In Chief; and former TGen executive Richard Love, founded TD2 in 2003 to accelerate cancer research and rare disease drug development for global pharmaceutical and leading academic institutions. Under the leadership of President and CEO Dr. Stephen Gately, TD2 has managed and designed hundreds of preclinical and clinical engagements that have measurably improved the drug discovery process in one of humans’ most complex disease areas, cancer. University of Arizona College of Medicine – The UA College of Medicine (UACOM) is part of the Arizona Health Sciences Center (AHSC), an educational, research, and patient-care network including: 5 University of Arizona Colleges (Medicine – Tucson, Medicine – Phoenix, Nursing, Pharmacy, and Public Health), 3 University of Arizona Medical Centers (University Campus, South Campus, and Diamond Children’s), and 23 centers and institutes dedicated to research and patient care. The UA COM has develop an in depth strategic plan which outlines ongoing programs and future objectives. 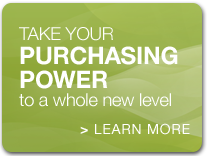 To view the strategies and tactics for each component, click here. Virginia G. Piper Cancer Center at Scottsdale Healthcare – on September. 6, 2013, the U.S. Food and Drug Administration approved Celgene’s Abraxane® for patients with advanced pancreatic cancer, following 7 years of rigorous clinical trials overseen by Scottsdale Healthcare and the Translational Genomics Research Institute (TGen). The Virginia G. Piper Cancer Center at Scottsdale Healthcare is one of the original Stand Up To Cancer Dream Team sites. It is the only center in the southwest participating as a clinical collaborator in the $18 million SU2C pancreatic cancer Dream Team grant, conducting clinical trials of new cancer treatments designed to cut off the fuel supply of nutrients feeding pancreatic cancer cells. See the video on current and future research. Love it or hate it, Obamacare (a.k.a. the Patient Protection and Affordable Care Act of 2010 or the ACA) was big news in 2013 with plenty of debate, the Exchange roll out debacle, and funding and tax questions still to be answered. In 2014, we will see more action at home and in D.C. as the medical device community continues to fight for repeal of the Medical Device Excise Tax. Look for a new kind of March Madness as the March 31st deadline for individuals to obtain coverage or face a new 1% income tax approaches. We’ll also be on the watch for potential changes to existing programs like Medicare Part B and Medicare Part D as Congress works to balance out costs and revenues for the program along the way. The ACA also amended the Public Health Service Act (PHS Act) to create an abbreviated licensure pathway for biological products that are demonstrated to be “biosimilar” to or “interchangeable” with an FDA-licensed biological product. This pathway is provided in the part of the law known as the Biologics Price Competition and Innovation Act (BPCI Act). Under the BPCI Act, a biological product may be demonstrated to be “biosimilar” if data show that, among other things, the product is “highly similar” to an already-approved biological product. The FDA will require licensed biosimilar and interchangeable biological products to meet the Agency’s exacting standards of safety and efficacy and be responsible for developing the pathways for approval. The states. through their pharmacy acts, will determine the process for substitution. Biosimilars were a hot topic at the Arizona Legislature in 2013 and will be back again in 2014 as we get closer and closer to the release of these new products since no automatic substitution can occur until the state statutes are amended. At the national level, many questions have yet to be answered relative to approval pathways, product naming, and market size. Its a complex area of our industry and sure to be a hot topic again in 2014. For more, see the linked whitepaper from Thompson Reuters. Last but not least… 2014 is an election year. One thing we can safely predict, President Barack Obama will not be re-elected in 2014. While hopefuls are starting to rally their forces, 2014 will be filled with debates, primaries, more debates and finally the selection of a new first family as Americans take to the polls. Here in Arizona, we will be treated to races for Congressional seats, the Governors office and elected-executive positions, and seats at the Arizona Legislature. 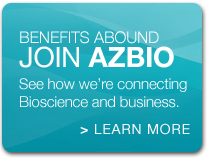 These outcomes are not as easy to predict, but one thing we do know, AZBio will be polling the candidates on their positions on the key issues that affect our bioindustry and we’ll be keeping you in the loop. 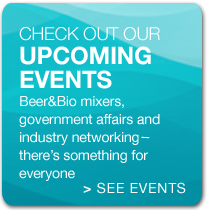 Join the conversation on the Arizona Bioindustry Linked in Group. Posted in AZBio News, BioScience, Capital, Government Affairs Blog, Health, In the Loop, Inside the Belt Way, Members, Uncategorized.